In a recent blog post, I had written about my picks of microbiology blogs of interest (Link). The post gained a lot of hits. I got a few communication suggesting other blogs that were good. The post was written in response to many readers asking what blogs out there I like and read. 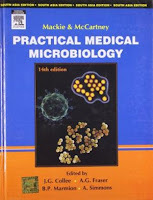 In similar lines, a question that I have encountered from a long list of students (who are just freshers into the medical microbiology), is what textbooks are recommended? Simplest answer, there is no universally recommended book. 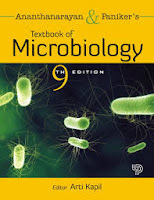 There is no lack of microbiology texts available in print and Ebook. Each book have their own positives and drawbacks. There are also specialised textbooks that focus elaborately on a single topic. So it is unfair for me to give a graded list of 10 books that I consider as a must read. Considering a broad range of topics, and based on my experience of reading from multiple texts, I have compiled a list. I dont endorse any publisher or company and hence the list is my independent opinion. For the same reason I will not provide any links to publisher site or other sites selling the books. You know how to find if you want one. The first thing that you study when starting with microbiology is understanding the general concepts. I have strongly noted, especially among my students that the basic understanding of core microbiology concepts are very weak since a lot of medical microbiology texts dont have the luxury of going through basics, especially in detail. This books has excellent chapters on bacterial classification, structure and metabolism. Positives: The best part of this book is the details of explanation and the range of details of covered. Negatives: The down part is the book hasn't been updated in ages. It has been atleast 3 decades since this book has undergone revision. If you want to understand the classic microbiology, this is the go to book. The book is an alternative for Stanier's microbiology and introduces the reader to basic concepts of microbiology. The book is well balanced with sufficient discussion and illustration alloted to basic topics. 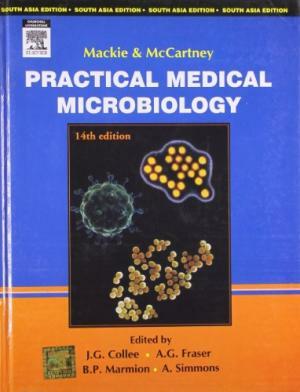 The book is considered by many as the "Bible of basic Microbiology". Positives: Excllent readability and ease of language. Everything that you need to know is covered. Negative: Nothing that I can highlight. 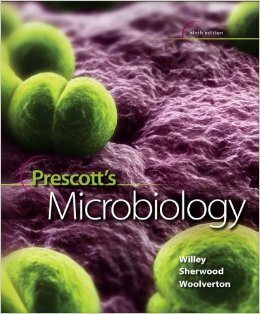 This is a classic textbook of microbiology that most students (especially south east asian students) are most familiar with. The book has basically an excellent introduction to medical microbiology concepts. Though titled as Medical Microbiology, this book covers bacteriology and virology related to medical science. The book is basically a boiled down and extracted notes of medical microbiology. The matter cannot be reduced any further. Positives: This book is inidispensable for first time learners of medical microbiology. You get all the basics in the simplest format. Negative: Detailed explanation is lacking for a huge number of topics. The newer editions claim that the book has been revised thourougly, but in essence newer editions are simply old wine in new bottle. No other textbook in my view comes close to this book when you want to undersatnd Infectious diseases as a whole. 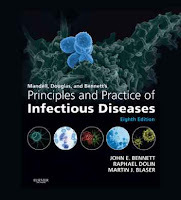 The book has extremely elaborate details of everything you want to know about infectious disease and is the ultimate reference book for practising infectious disease specialist. Book comes as a two volume set. The editions are frequently updated and no information is out of date. Positives: Depth of literature and discussion. Negatives: The book is so extensive and elaborate and is not the one of choice for very beginers. This is a book of choice for people who have some basic understanding of medical microbiology and what to get into details. 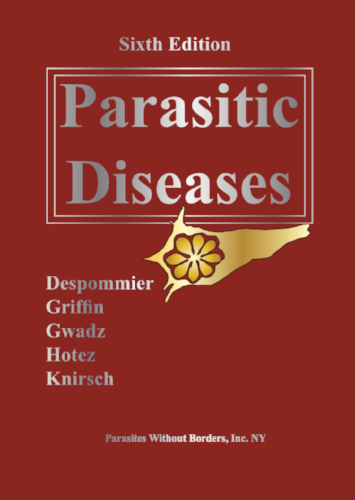 The book focusses on specially Parasitic diseases. In simplest words the book is concise, accurate and student friendly. Parasitology is not well discussed in a lot of microbiology book and hence this book is illuminating. The book doesnt get into any hefty details but gives sufficient understanding of the concepts. Another reason to read this book is, its latest edition is available online for free download legally. Negatives: Nothing that I can highlight especially since its a free to read book. I wouldnt want to highlight a specialised textbook, focussing on a single topic in this post since such books are bound to be detailed and carefully crafted. I want to make an exception in this case, since this is the only literature that I have ever found to give a detailed explanation of antibiotic testing protocols that is easy to read, understand and execute. Positives: Point to point explanation. Negatives: A book that focusess on Antibiotic testing protocols should have had atleast one small chapter on antibiotic basics. Quoting from a review by Thomas G. Mitchell "This complementary team has produced a highly readable and comprehensive book, which they intend to be a text for medical and graduate students, a resource for microbiology technologists, and a reference for physicians and researchers." Negatives: Graphical appeal of the book needs improvement. Key Authors: by Washington C. Winn, Stephen D. Allen, Stephen Allen, William M Janda, Elmer W. Koneman, Paul C. Schreckenberger, Gary W. Procop, Gail L. Woods. Understadning microbiology concepts is one side of the story, while the second being working in a Clinical diagnostic laboratory. 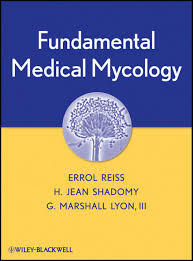 This book is long considered as the definitive work in its microbiology dignostics field in all aspects of clinical microbiology- Bacteriology, Mycology, Parasitology, and Virology. The book is a reference for all the diagnostic procedure in Clinical microbiology and a must read book. Negatives: Nothing that I can highlight. 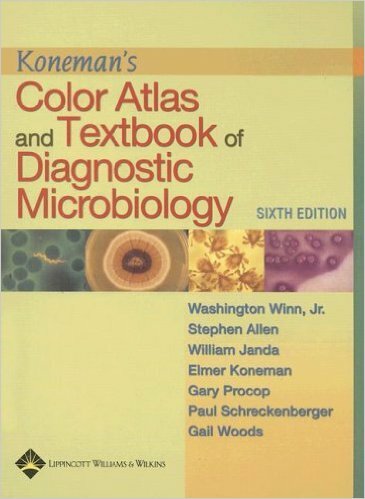 A classical book in diagnotic microbiology, is a microbiology text similar to Koneman's but not as elaborate but yet discusses the subject in detail. 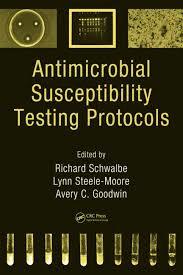 The book forms a preliminary read if you are getting into diagnostic microbiology. Most concepts are well explained. Positives: Easy to understand concise discussion of diagnotic workup. Negative: The book hasn't been revised or updated since 1980's. Key Authors: Jane Flint, Vincent Racaniello, Glenn Rall, Anna Marie Skalka. Virology is a field that is quite different from other and they are radically different. 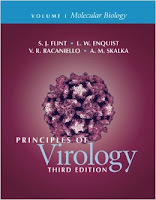 The concepts governing viruses is totally different and hence a good virology book helps a lot. I relied on Fields Virology, for a long time (and still do). In contrast, this book has a different approach to talk about virology and descriptions are with reference to modern molecular understanding. The clarity and simplicty of the book is very appealing. CRISPR cas system (Clustered regularly interspaced short palindromic repeats- CRISPR associated protein) is a topic that I have been writing about multiple times in this blog. Long ago I wrote a really basic post on CRISPR cas system, and since then the understanding and the technolgy has come a long way. I was recently discussing about CRISPR with a friend and though an update post would be interesting to readers. In a previous post, I wrote about proteins that can block CRISPR. There are several arguments around this such as Phage possess anti CRISPR defense system, Phage can possess CRISPR system etc. The question becomes obvious that where did the CRISPR system develop first. Evolutionary origins can be a tough question to answer especially since there is a lot of genetic swapping between phages and bacteria and even between different bacteria. Further, there is some evidence that CRISPR genes are tough to keep and hence a lot of it is in loose and gain process. In theory, this is a chicken or egg problem for which origin cannot be confirmed with sufficient confidence. Coming to the classification, the system is classified into 2 classes, 5 types, and 19 subtypes in all. Class 1 CRISPR–Cas systems are defined by the presence of a multisubunit crRNA–effector complex. In contrast, Class 2 contains only a single protein. Class VI is the most recent addition, the only one that can cut the RNA. Type IV is a putative system and there is significant lack of details. A brief classification is shown in Table 1. It is not clear, as how many types of CRISPR are actually there in the prokaryotic world, since there is a huge lack of sequence in bacterial population. CRISPR-Cas systems has been demonstrated in about 40% of eubacteria and 80% of archaea which is known. There is a perfect possibilty that there is something similar to CRISPR and we have not yet figured it out. Till I recently read an article by Heidi Ledford, I wasn't aware that there is some evidence that CRISPR is also important for pathogenesis at least in a few cases. There are a couple of possible explanations in the article. But what is striking is the idea that CRISPR is not just a defense system. It has more to it. Makarova K, Wolf Y, Alkhnbashi O, Costa F, Shah S, Saunders S et al. An updated evolutionary classification of CRISPR–Cas systems. Nature Reviews Microbiology. 2015;13(11):722-736. Savitskaya E, Musharova O, Severinov K. Diversity of CRISPR-Cas-mediated mechanisms of adaptive immunity in prokaryotes and their application in biotechnology. Biochemistry. 2016;81(7):653-661. Ledford H. Five big mysteries about CRISPR’s origins. Nature. 2017;541(7637):280-282.